When it comes to selecting a pair of shades, we tend to side with fashion over form. But how much good can looking like Audrey Hepburn or James Dean do if we’re risking vision loss in the meantime? Vanity aside, sunglasses should be viewed as a tool to help safeguard the health of our eyes. Studies have shown that unprotected eye exposure to the sun’s rays increases the likelihood of developing eye problems later in life. These include cataracts (a clouding of the lens of the eye) and macular degeneration (an incurable disease of the retina). 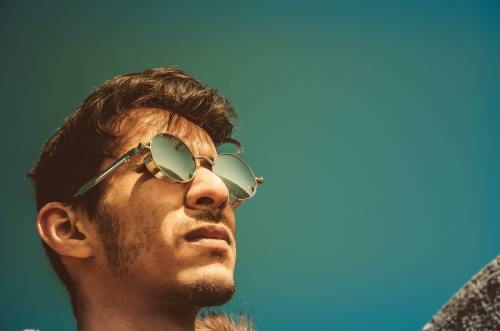 As if that weren’t enough motivation, a good pair of sunglasses will protect the eyes against the formation of wrinkles, including crow’s feet, and the thickening of the skin that can be caused by some UV exposure. Don’t get stuck purchasing a pair of shades that don’t get the job done – expensive or not. Here’s what to look for the next time you’re in the market. Look for UV 400 protection, which will shield your eyes from even the tiniest of UV rays. Lenses need to block 99 to 100% of UVA and UVB rays and should meet the ANSI Z80.3 blocking requirements set by the American National Standards Institute. Darker doesn’t always mean better. Hue, on the other hand, can make a huge difference when it comes to visibility. Opt for gray, green or brown lenses to lessen the possibility of color distortions, which may be present in yellow- and rose-tinted sunglasses. If you’re recreating in the water, polarized lenses are your best bet. They filter out sunlight reflected off the surface of the water and reduce glare. Polarized lenses have nothing to do with UV protection so make sure you also check for that. Your sunglasses should feel somewhat tight on your nose and ears while not pinching or rubbing. Because light can hit your eyes from above, find ones that are snug around the brow area but not so tight that your eyelashes rub against the lenses. Contact lenses alone aren’t enough to protect your eyes from the sun. Even if your lenses have UV protection, remember to wear your sunglasses, too. Make it a habit to sport your shades every time you step outside. Whether you choose a higher-end pair or opt for cheaper ones from the drugstore, you won’t have a hard time finding sunglasses that are both fashionable and functional. Open the Go365 App, navigate to Activities, scroll through the activities to find “Get a vision exam” and follow the prompts. This material is provided for informational use only and should not be construed as medical advice or used in place of consulting a licensed medical professional. Consult with your doctor to determine what is right for you.